The article is full of misleading information, but it also contributes to the ongoing--and growing--effort on the part of certain LDS intellectuals to persuade members of the Church not to believe early Church leaders. Regarding the Liahona, the article says, "We know that the Liahona was safely stored until the early 1800s, when Joseph Smith unearthed its resting place. But what happened to it after that?" There is no historical evidence that Joseph "unearthed" the Liahona. In fact, both Joseph and Oliver specifically identified the contents of Moroni's stone box: the plates, the interpreters, and the breastplate. No Liahona and no sword of Laban. Then the article falsely claims this: "We know the weapon eventually ended up in the hands of Moroni, who buried the symbolic sword in the same box with the Nephite record, the Urim and Thummim and their accompanying breastplate." Moroni never said he had the Liahona or the sword of Laban. No historical account describes those items being in the stone box. Instead, the historical accounts all have those items being in Mormon's depository in a separate department of the hill from Moroni's stone box. They were in the same hill Cumorah in New York, but a different location in the hill. Church members such as the author of this LDS Living article understandably think the Liahona and the sword of Laban were in Moroni's stone box, thanks to the misleading exhibits in Church visitors' centers and other media and curriculum materials. So where were the Liahona and the sword of Laban? The only historical accounts we have explain that they were in Mormon's depository, not in Moroni's stone box. 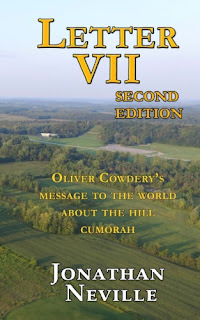 The notion that the stone box contained the Liahona and the Sword of Laban was developed by promoters of the Mesoamerican/Two-Cumorahs theory (M2C) to explain D&C 17:1 without acknowledging that Oliver Cowdery specifically explained that Mormon's depository was located in the Hill Cumorah in New York (see Letter VII). Brigham Young and others affirmed that Oliver, Joseph, and Joseph's brothers had visited that depository and had seen the artifacts for themselves. This is a major problem for M2C intellectuals because they insist that the "real Cumorah" must be in southern Mexico for their theory to work. Therefore, anyone who teaches that Cumorah is in New York must be wrong. The LDS Living article quotes David Whitmer's statement that he, Joseph and Oliver saw the Liahona and the sword of Laban at the time the angel showed them the plates. This is the only statement to that effect, and there are issues with it that I've discussed before. The only other reference in Church history to the sword comes from the Journal of Discourses. 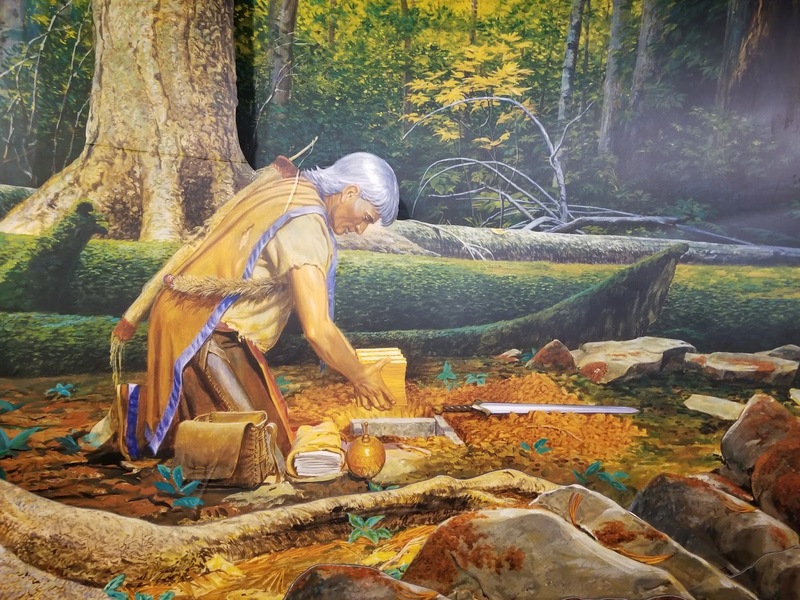 The account tells of Joseph Smith and Oliver Cowdery seeing the sword in a cave when they returned the plates, but this story is not necessarily accepted as truthful. That sums up M2C scholarship right there: anything that contradicts their narrative "is not necessarily accepted as truthful." I don't know Jannalee Sandau, the author of this article, and I don't blame her for making the false assertions in this article. I suspect she has been educated at BYU and/or CES, which would explain why she doubts the veracity of Brigham Young and other early prophets who taught that the Hill Cumorah is in New York. This is yet another in the long list of examples of how the M2C intellectuals are successfully indoctrinating LDS people into believing them, the intellectuals, instead of the prophets.